There’s a special shop in the town of Meirocho. In this shop, girls from all over the country arrive to learn the art of fortune telling. Their dream: to become the top fortune teller, the Urara. 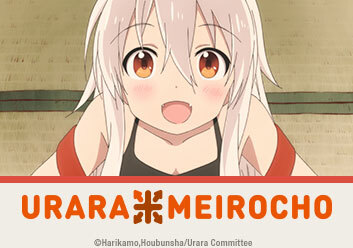 One day, fifteen-year-old Chiya enters the town, and, unlike the others, she comes to town with another purpose besides becoming the Urara. Together with her fellow apprentices, Chiya, and the girls find themselves treading into a future none of them could have foreseen! Episode 2: The Things We Search For and Our Dreams are Sometimes Sweet! Episode 3: Our Friends and Colleagues are Sometimes Rivals! Episode 9: Mothers and Knowledge are Sometimes for You!